At tea time — or any other time, really — a bit of a nibble really hits the spot. Cakes and cookies are all well and good, but sometimes it’s nice to stir things up. 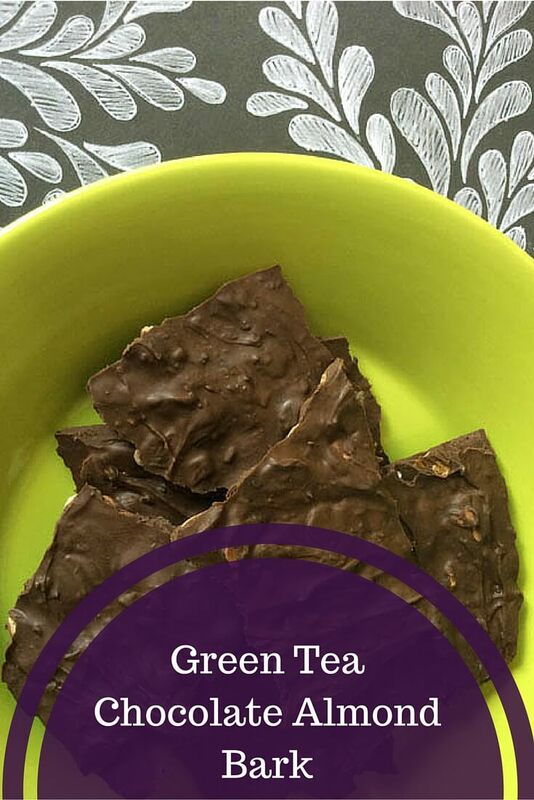 Instead of scones, how about a scrumptious chocolate bark made with almonds and green tea? 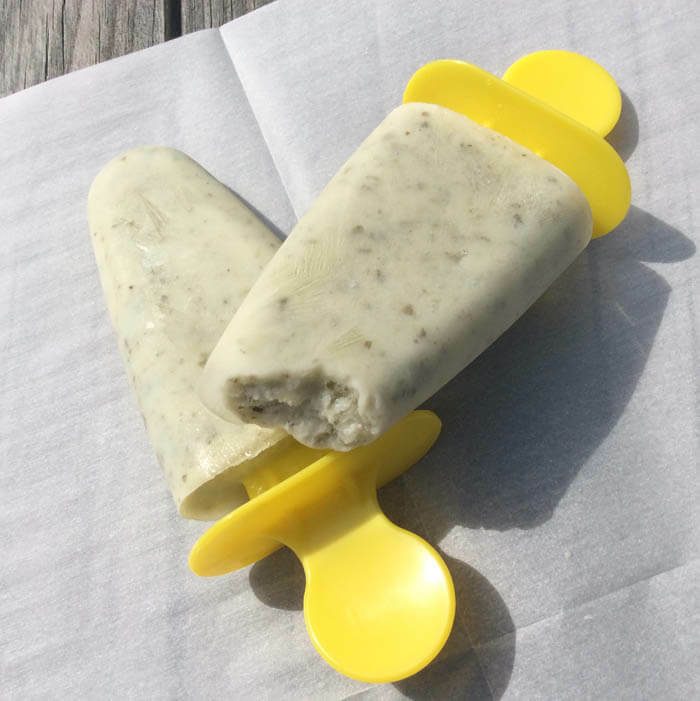 Or maybe you’d like to hearken back to childhood with freezer pops made from green tea and yogurt. These delicious three-ingredient recipes are easy to make and fun to eat. I used our Garden Grove Green Tea for both of them because I love the extra flavor and nuance of the cherry and vanilla notes. Chocolate and tea? Yes, please! This recipe would also do quite well with white chocolate if you prefer. Melt chocolate in a double boiler over low heat, stirring frequently. When chocolate is almost all melted, remove from boiler and continue stirring until all the chips are melted; this prevents burning. Stir in the tea leaves and slivered almonds. Pour chocolate mixture onto prepared baking sheet and use a rubber spatula to spread the chocolate until it is about 1/4 inch thick. Allow chocolate to harden completely at room temperature, usually 6-8 hours or overnight. Break chocolate bark into pieces; store in an airtight container. This frozen delight will give you a dose of yummy green tea as well as healthful probiotics. It’s not bad for cooling off on a hot day, either. Place all ingredients in a blender and blend well. If you want to add even more green tea flavor (as well as extra vitamins, antioxidants, and fiber), throw the steeped tea leaves in there, too. Pour liquid into popsicle molds, leaving about half an inch of space at the top for expansion and the stick. Insert sticks and place in freezer for at least 6 hours or overnight. To release the pops from the molds, run them under a little warm water until they loosen.